Anxiety, depression, trauma, and Obsessive-compulsive disorder (OCD) are all very closely related to eating disorders. You can have anxiety and an eating disorder. You can have depression and an eating disorder. You can have OCD and an eating disorder. Just because you have anxiety, depression, OCD, or trauma does not mean that you will have an eating disorder, or vice versa. These things do not cause an eating disorder. 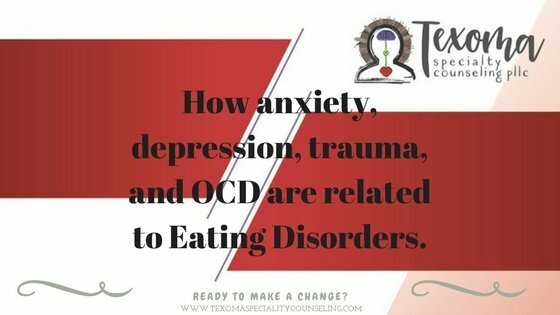 And eating disorder does not cause anxiety, depression, trauma, and OCD, however if you have an eating disorder you most likely feel very anxious, depressed, and miserable. An eating disorder, anxiety, depression, and OCD are all brain issues. You have symptoms of a mental health condition. These symptoms are present because your brain is not working and thinking correctly. Therefore you have upset emotions, you have upsetting behaviors, and you feel stuck. Human nature is to avoid feeling badly. You just want to feel happy and OK. Which is why you may be struggling with symptoms of an eating disorder. Your eating disorder may be serving a purpose. Let me be clear that no one wants an eating disorder. Someone living with an eating disorder is miserable and is in a living hell. However an eating disorder may be serving a purpose to keep you, or your loved one, from experiencing emotional upset and distress. The disordered eating may be how you cope with anxiety, depression, and trauma. I have seen people want to be numb, so restricting foods becomes a way to numb the intense feelings. I have seen people binge in order to stuff emotions. I have seen people purge in order express emotional upset they are feeling. You want to learn to identify your emotions. You want to learn to express your emotions in a healthy way. You want to learn to eat in a healthy manner and how to pay attention to your body. You want to learn to manage and cope with very upsetting feelings. You want to accept you will be OK if you feel intense emotions. 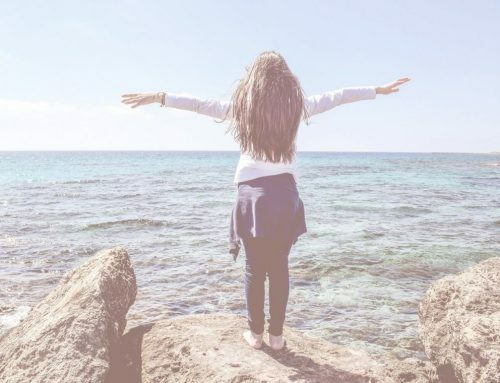 If you can learn to do these things, then you can overcome your anxiety, depression, trauma, and eating disorder. This is not easy, but it is possible. You can learn to love your body and love your life. You can learn to challenge disordered eating thinking and behaviors. You can learn to have confidence and self-acceptance. If you find you are having trouble with this, please ask for help. There is a lot of good support and help out there for you. Stephanie Waitt is a licensed professional counselor in Sherman, TX. Stephanie specializes in working with women and men with eating disorders. 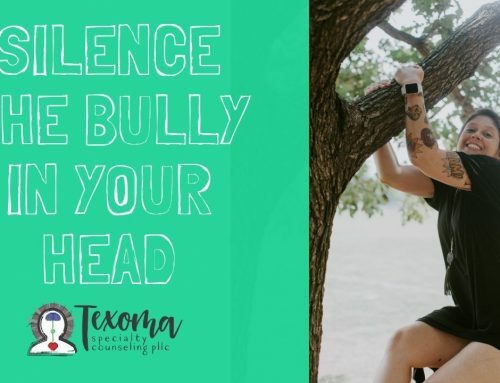 She aims to help people find balance, peace, confidence, and happiness. In her work with people she emphasizes the importance of self-care and encourages people that being a little selfish is a really good thing. You can learn more at her practice at www.texomaspecialtycounseling.com.